Roughly 100g mushrooms- I had a mix of portobello, chestnut, oyster and giant oyster mushrooms. 1/2 a tub of ricotta. 3 slices of crusty bread. Toast the bread under the grill. Slice or tear the mushrooms and fry in butter starting with the meatiest variety (i.e. portobello) as they will take the longest. 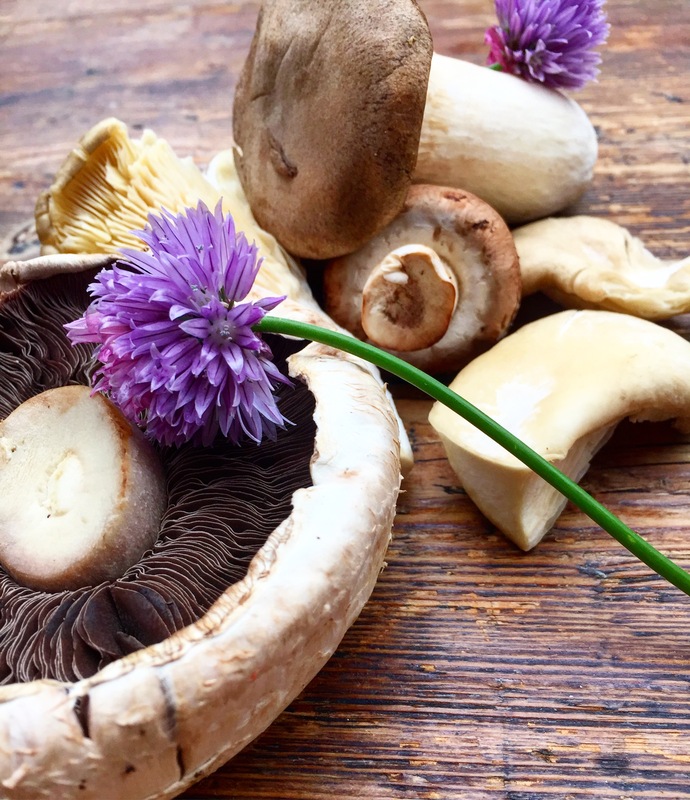 Oyster mushrooms and similar varieties only need 30 seconds at the end. Mix a little olive oil, salt pepper and the chopped chive stems with the ricotta and spread it on the bread. 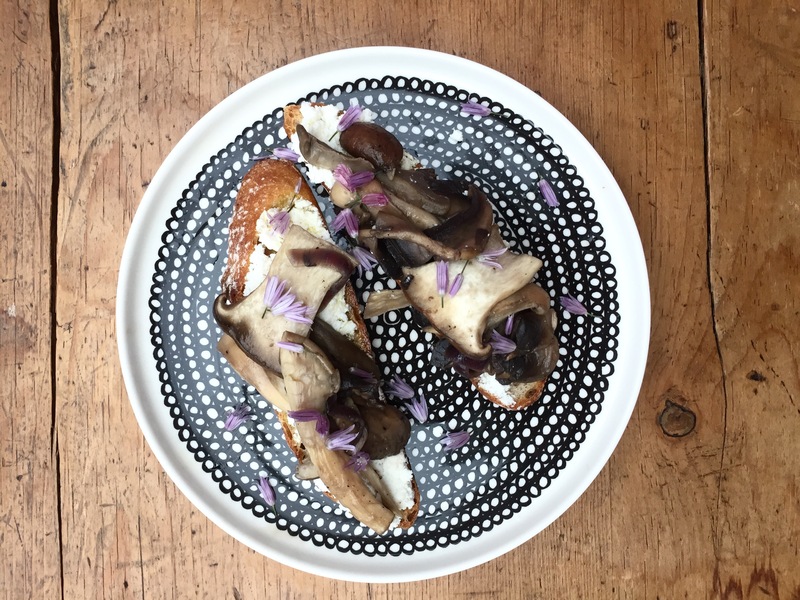 Top with the mushrooms and chive flowers. I used- A knife, a chopping board, a pan, a wooden spoon, a bowl and a spoon.